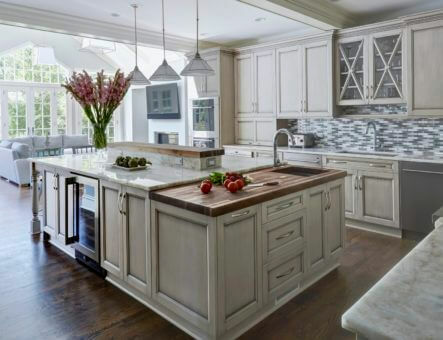 Kitchens Designed from a Cook's Perspective! 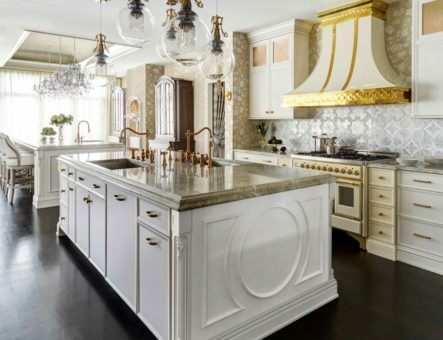 Since 1992 we have been transforming our clients’ kitchens into their unique culinary space based on the way they like to cook, eat and entertain. 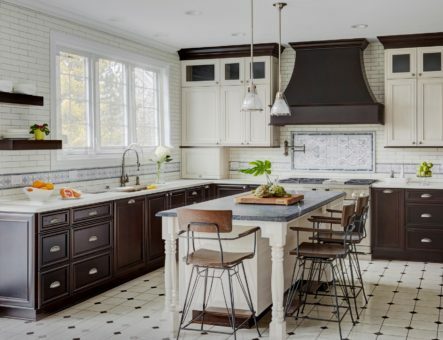 Rooted in owner Rick Glickman’s previous experience in designing and owning restaurants, bars and bakeries, we specialize in designing kitchens from a cook’s perspective, tailoring our designs to our clients’ favorite cuisines and traditions. 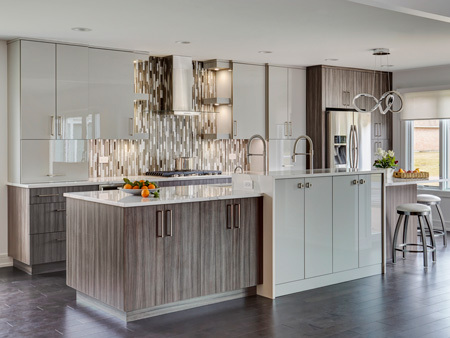 Dream Kitchens is an award winning design firm, that prides ourselves in unique, but practical designs. When designing your space we really think of the best use of the room first. 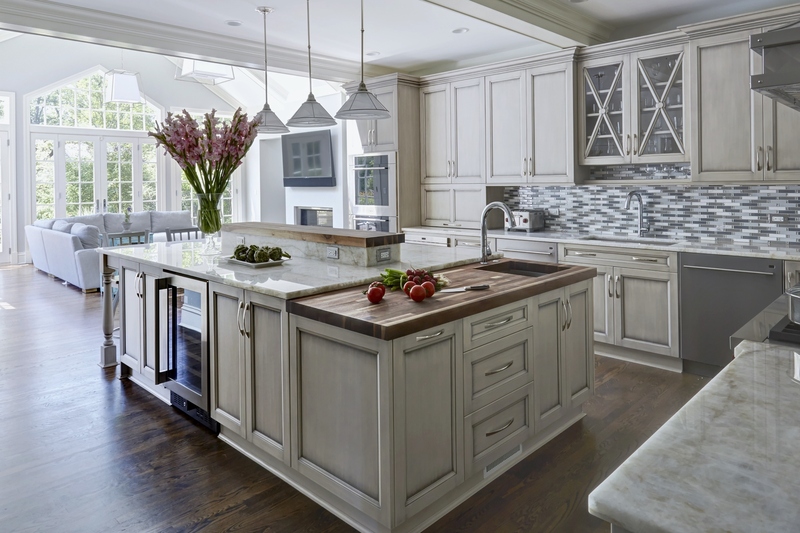 When it comes to designing, we are known for ‘Kitchens designed from the Cook’s Perspective’! 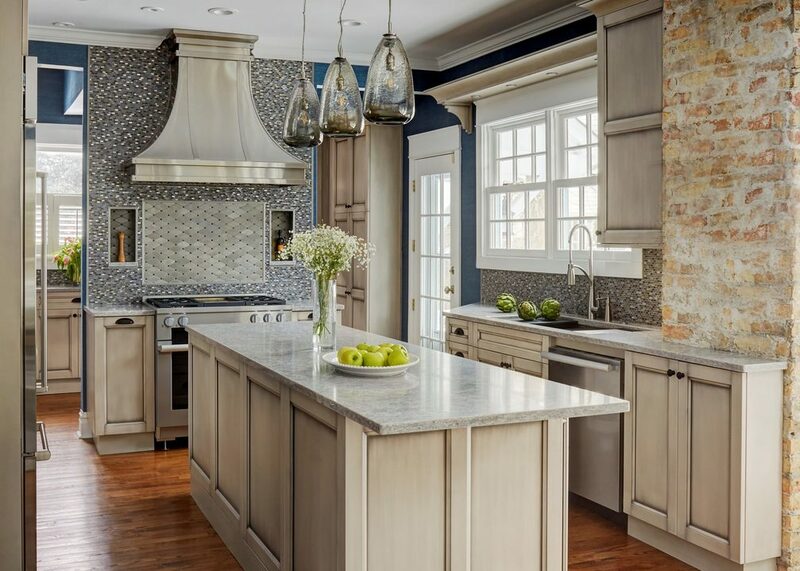 Not sure what your dream kitchen will look like exactly? Not sure what it will cost? 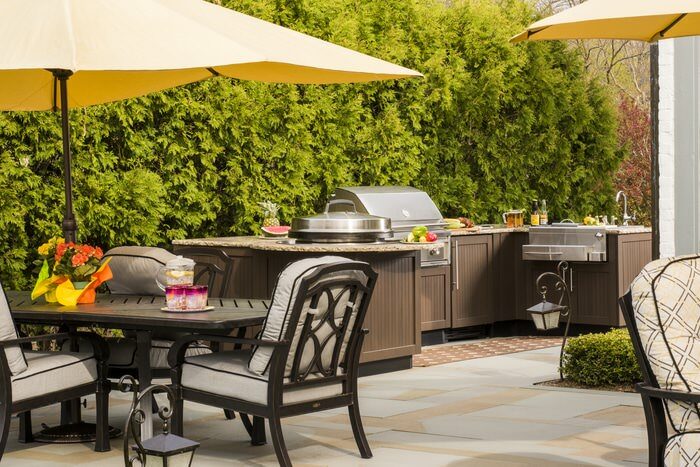 Let us help you with a FREE, no obligation consultation in our state-of-the-art showroom. By showing you examples of other projects and a variety of materials, we can help you make the decisions necessary to realize your Dream Kitchen. To begin the process, we come to your home, or you simply bring your room’s dimensions and some digital photos to our showroom, and we would be happy to illustrate some of these unique ideas. 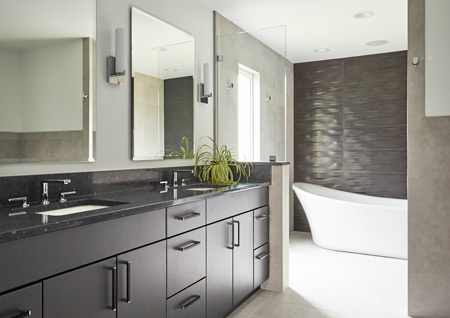 Whether you have your own contractor or need us to arrange your project’s installation, we are here to help every step of the way! 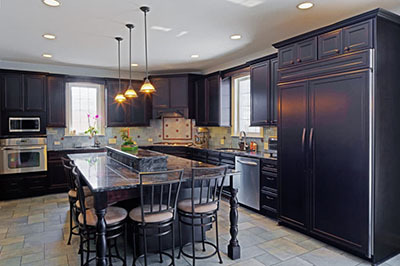 We specialize in “carpenter friendly” detailed drawings, which eliminate a lot of the guess work many installers get frustrated with from other design firms. We take pride in our designs and your finished project. We do regular site visits throughout the project to make sure what we designed and what you expected are being executed correctly to give you the best Dream Room possible! 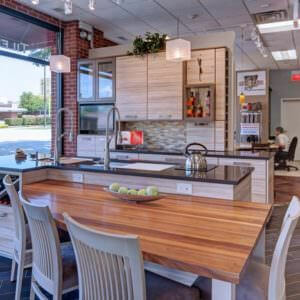 Our experience with Dream Kitchens was wonderful! Owner Rick had a vision in keeping with our mid century modern home and was open to artistic interpretation. As a cook, he personally understands the workings of a small, yet efficient, kitchen. Rick’s enthusiasm for our project was contagious! 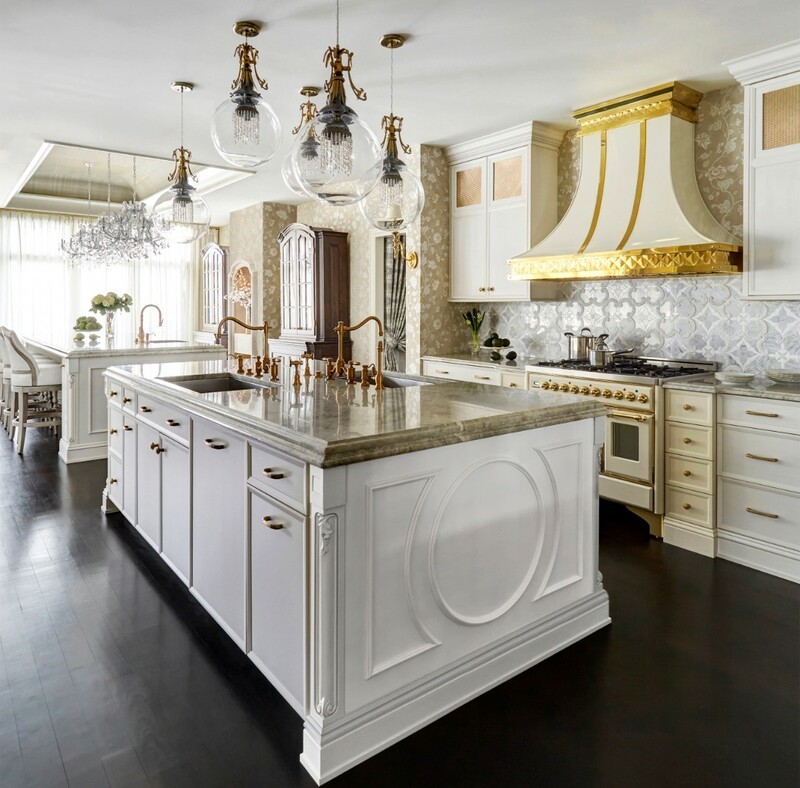 We had the pleasure of working with Karen, an experienced kitchen designer. She is a good communicator and was always on top of our project. Karen’s knowledge of materials is amazing, and we never felt any pressure to go beyond our budget. 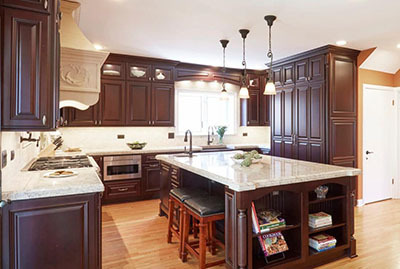 The contractors used by Dream Kitchens are among the best. Everything from fine carpentry skills to professional work ethics was top-notch. 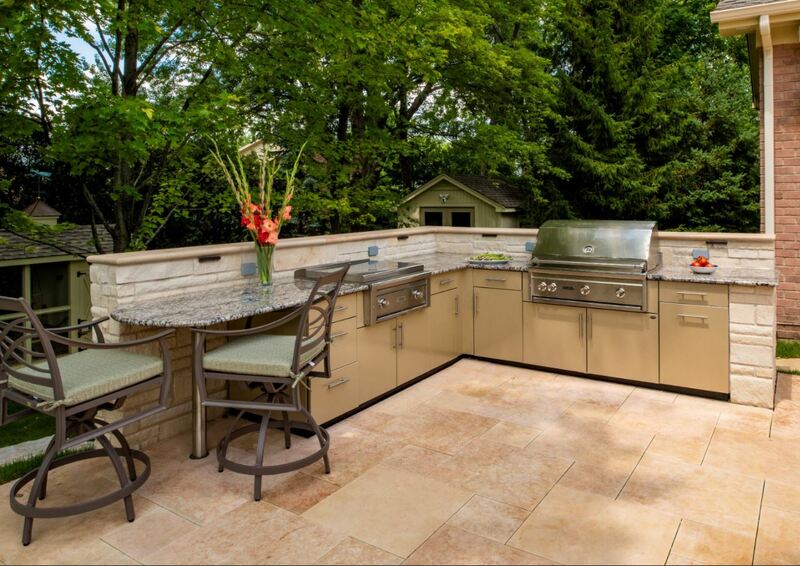 Dream Kitchens receives our highest recommendation! 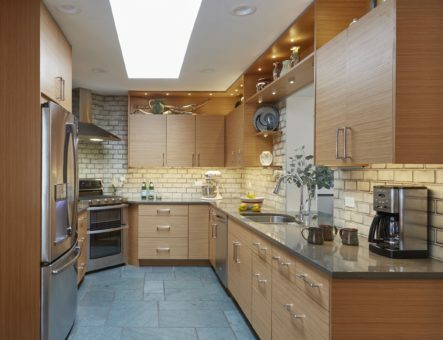 Dream Kitchens was very professional. I found the computer generated 3-D mockups very useful to help us visualize our options. The contractors/subcontractors that they hired were also very professional and responded to our needs fairly quickly. We did downgrade some of the suggested appliance choices to help save costs, and it retrospect this was not a wise choice. I would use them in the future, and I would recommend them to others. 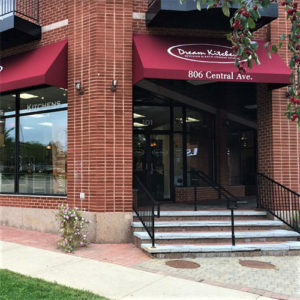 The Dream Kitchen staff was extremely knowledgeable, professional, and prompt! I was very impressed with their showroom which had everything and more I needed to help me with my selections. 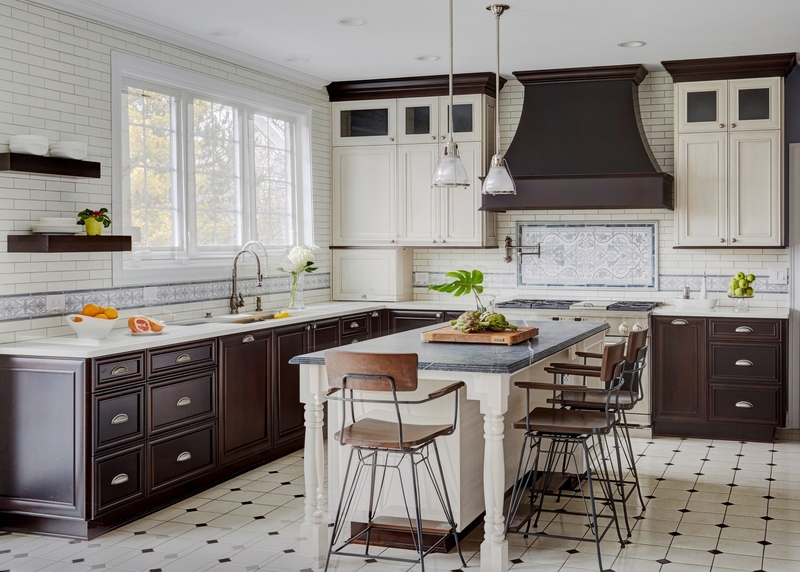 I’d recommend Dream Kitchens to anyone who is looking at a kitchen or bath remodel! Listened to my wants and needs. Karen Created a virtual kitchen. Best illustration ever. We were really able to see the concept come to life. Great products to choose from. They will work within your budget. Prices are competitive with big box stores. The service by far can’t be beat. I highly recommend them. 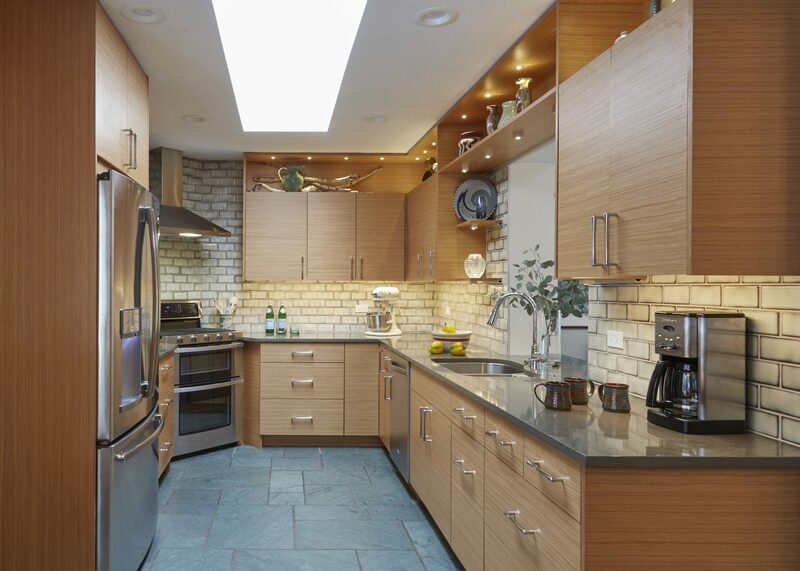 I cannot say enough kind words about Dream Kitchens. They are the most professional staff I have the pleasure working with in this industry. 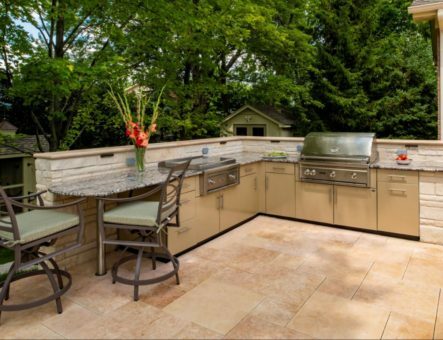 The staff is extremely knowledgeable about all aspects of kitchen and bath remodeling and I would recommend them to anyone looking for a great value. Dream Kitchens completely redid my kitchen- the whole thing, all the way down to the walls- and built it from there. They did everything- new floors, electrical, and plumbing. I couldn’t be happier, they had great ideas. I went in open minded and they came out and looked at it, asked some questions, and then started putting something together. We ended up going with what they suggested. This was the first time I worked with them, and I would absolutely use them again. The experience of dealing with them makes me want to come back. I was happy with everything they’ve done.